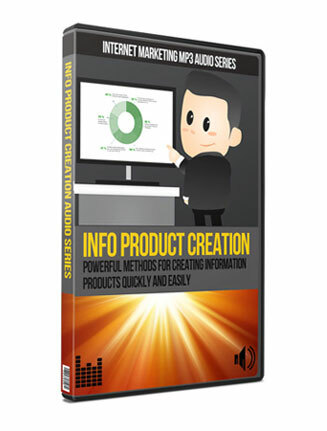 Powerful Method For Creating Info Products with the Information Product Creation PLR Audio series. With Private Label Rights. Edit, Call Your Own. It’s no secret that creating and selling information products on the internet is one of the best ways to make a living online. It is also the most profitable. When you have your own products, you have the exclusive with products no one else has. When you have your own products, you also make 100% of the profits on ever single sale. 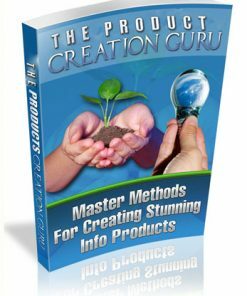 When you have your own products you can also command higher prices because the only place people can buy them from is you.you’ve found the motherload of product creation on audio with the information you need to create and profit. 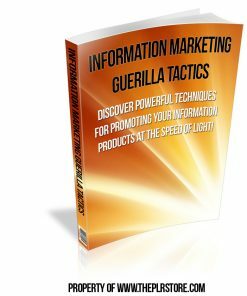 You’ll be getting 12 quality plr audio’s that are bursting from the seams with information you or your customers could use to knock it out of the park when it comes to creating information products. 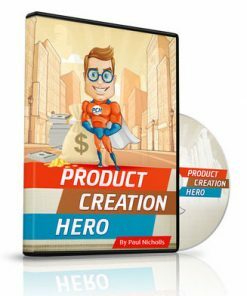 Information Product Creation PLR Audio was created by a well-know marketer that walks the talk and knows what he is doing. All audio’s are in the ever popular MP3 format, so any one of your customers will be have no problem using your new product. 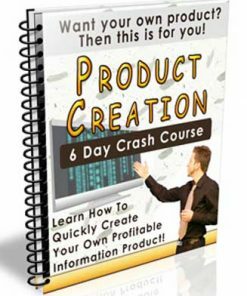 Teaches you how to create 4 brand information products in a month and how it’s easier than most people think. Goes over step-by-step instructions on how any one can do it. It’s broken down to simple steps, covering all the in’s and outs of product creation. Covers the primary pieces of a successful information business. Real-life information from some one has been there and done it successfully. Building and deepening your info business. Recording that goes over the difference or concepts of having one info product compared to having multiple backend products. Why creating addition products will make a big difference in your business. Talks about the steps to creating a complete information product sales funnel and how to do it very quickly. He talks about how easy it is and the biggest traps people fall into with their online business. Also, why it’s important to have your own multiple product line. Goes over specific steps to creating your own funnel. Question and answer session answer the important question of how you can get new products out in a short time. Starts from the background of how and why the speaker created his own information product information. From a person that is actually do it and doing it well. First part, or the big picture of turning the things your doing into making money. Pulls the entire product creation process together. Helping getting over the frustration when it seems like it’s not quite working. Squeezing profit out of everything your doing. Second part that goes over one of the most important part of an information business, the actual selling part of the equation. The many different products or versions of products you could be profiting from. Ton’s of idea’s on this one, that are sure to get you excited. Quick discussion on the background of why you need to automate your product funnel. Talks about multiple products and multiple price points. More importantly, it covers the actual mechanics of how it all works. 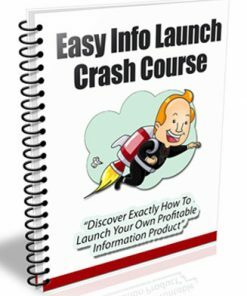 Exact launch instructions and the exact testing process for your own information product business. How to test out the sequence with sample email ideas and the mechanics of making it happen, including automation and more. Teaches how to automate your online information business. Step-by-step over of what works and the details of how it works. 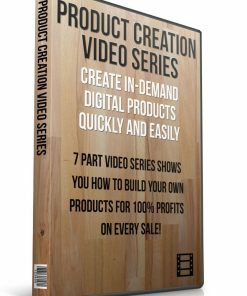 Covering entry level type products, even covers how to create them fast. Some great brainstorming and examples of product creation with even better idea’s and way of creating products quickly and efficiently. Quick ways to create simple documents that could be used in so many ways in your business. Question and answer session that goes over the best use of your time when it comes to creating, automating and selling information products. Talks about using your time wisely, no matter how much time you have to give to your business. 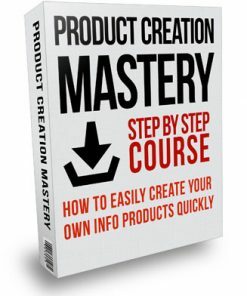 That’s over 7 hours of high quality information that will help you ramp up your product creation process and make a whole lot more in your business. Let’s face it, who doesn’t have a electronic device that plays MP3’s these days? Pretty much everyone! So it’s a easy product to sell to a hungry crowd. Also the fact that many want or need to learn on the go. 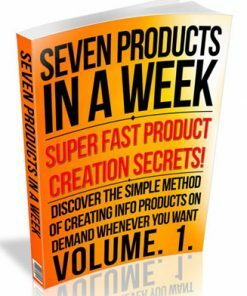 You could sell this Information Product Creation PLR Audio product as a stand alone product and you keep 100% of the profits on every single sale you make. It could also be a fantastic bonus to a product your already sell, which could increase your sales conversions and make you more money. Or use it as a great addition to a paid membership site to keep your members happily paying you month after month like clock work. You could even drip the audio’s to your membership, which can help keep your members onboard. We also created a brand new eCover from scratch, just for this product. Which means you won’t find it anywhere else but here. So grab you copy now to have the exclusive! You’ll also be getting the PSD image for the brand new cover,m so you can change, edit or brand it how you want.